Custom 52 is kind of like Treadless, but for playing cards. Anyone can submit a graphic design for a card's face. The card number and suit is up to you, but the design you submit has to reflect that choice. Submitted designs are voted on by fellow visitors to the site. 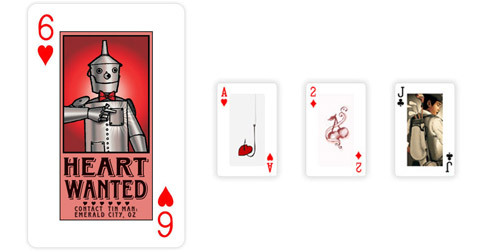 The winning designs are made into a purchasable deck.